DIRTT Environmental Solutions provide custom prefabricated interiors that are unlike anything else in the marketplace. Healthcare, education, commercial, residential, and government entities use DIRTT products. The solutions – from walls, doors, millwork and floors – are modular and designed to reduce and reuse materials needed to create unique architecturally appealing and functional work areas. Progressive Interiors is honored to be Oklahoma’s premier authorized DIRTT partner. Progressive Interiors is a division of L&M Office Furniture, the Oklahoma leader in office solutions since 1963. From that time, we’ve honored founder Lou Miller’s vision to be the business person’s department store. Today, we believe vision is stronger than ever by being a trusted partner of DIRTT Environmental Solutions. By choosing DIRTT and Progressive Interiors to complete your space, you are saying yes to amazing customer service, quick and timely deliveries, experts to help with installation, and a design team to help your vision come to life. Whether you are an architect, designer, a facilities manager or in the construction industry, we are here to help. go to this website buy Lyrica in ireland Give us a call at (918) 794-2888. DIRTT offers unmatched speed. Construction timelines are always tight, but DIRTT leaves conventional construction speeds in the dust. 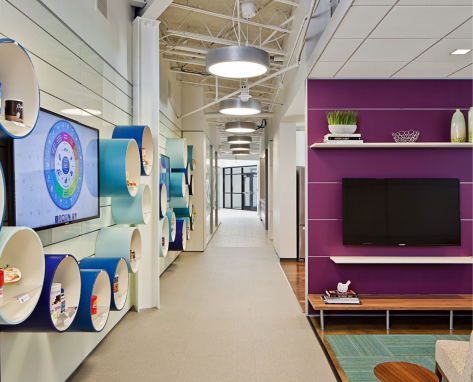 DIRTT and Progressive Interiors believes in sustainable construction, taking a holistic approach to design and build allowing you to revitalize your space without destruction. Compare our solutions to conventional construction. You’ll be amazed and compelled by our competitive costs. Our solutions feature steady, stable pricing not driven by the availability and demand of commodities. Meet the happy marriage between interior construction and technology. ICE® Software allows you to imagine it, see it, understand it, and make it come to life. Conventional construction puts 70% of the cost in labor and 30% in materials. We flipped that equation – our solutions are of the utmost quality and require less labor to install. The Progressive Interior team are veterans of many DIRTT installations in high-profile facilities around Oklahoma. We encourage you to meet with them, let them understand your needs and aspirations, and help find the ideal solution for your space. We might as well start the conversation off by recalling the devastation of the National Energy Program in 1982. It was certainly my comeuppance and wake-up call in business. And, yet, here we are facing a savage drop in the price of energy — the Holy Grail for Western Canadians and Canadians at-large. It is still our source of feast or famine. This, despite declaring we are on a quest for creating businesses not reliant on the price of a barrel of oil or other non-renewable resources. Yes, over the years, numerous success stories outside the energy industry spawned in Western Canada. Stantec, PCL, and Ledcor (there are many others) demonstrate excellent success in the international arena. The time and investment to attain their stature, however, is absolutely staggering and well beyond the means of most aspiring entrepreneurs, especially given the sparse availability of investment capital for start-up ventures. How can we succeed? Through technology. The last 10 years have brought us to the verge of the fourth Industrial Revolution. The first was machine-driven, the second brought production lines, the third — which some are still catching up to — is the digital revolution, and now we build on the digital, where boundaries between the physical and digital merge, leading to new realities like mass-customization. We are entering the ‘age of exponential growth,’ and it’s all driven by technology. In the fourth Industrial Revolution, all manufacturers will be run more like social media, where the user is in charge. Manufacturers will give their clients the tools to run their facilities and price their products. Mass customization will be the norm. Offshoring for lower labour costs and materials will be a thing of the past — all thanks to technology, which is improving so quickly, its only downside is that it feels impossible to keep up with. This innovation is so completely disruptive, we have seen individuals working in their garages for just a few years grow from nothing to being instant multi-millionaires. These are the people who saw huge opportunities in industries that were mortally wounded (they just hadn't recognized it yet), and used technology to completely revolutionize these vertical markets. Dazed and confused is how I would describe the manufacturing sector that continues to wait for a low dollar to take effect or the government to bail them out. That ship has sailed, and the sooner companies react by embracing technology allowing them to respond to their clients’ true and specific needs, the better. There are tremendous examples of Canadian companies already leading the way in additive manufacturing and 3D printing. These are just scratching the surface of what will be possible in a few short years or even months. But, to get there, you need a tremendous appetite for constant adaptation. DIRTT Environmental Solutions is one of those stories. With the discovery of two (brilliant!) cofounders, a strong team of people (1,000 of us, give or take a few), and a culture unlike anything the corporate world has seen, we found our opportunity in the construction world. Here, skilled labour is on the verge of being extinct, yet labour-intensive methods are still being used. Providing the speed and certainty of manufacturing isn’t enough when it comes to building spaces where people work, learn, heal, and live. You have to be able to build what people want — not some standard selection of finished boxes. So, we started the ball rolling with a software platform that would allow our clients to design, price, and build exactly what they need, and components that would self-organize to create the physical elements. Having said that, we are in no way using technology as a panacea. Without people who dream big, we would be nothing — both inside and outside our company. Were it not for the entrepreneurial spirit permeating every aspect of our Prairie society and the incredible support of the people in the energy industry, our early adopters, DIRTT would not exist today. For me, it started back when our family emigrated from Denmark to Calgary in 1952. The adventuresome spirit of my mother and father, Lydia and Kai, joined a community that supported and rewarded the efforts of anyone who wanted to do an honest day's work. Ambition and the courage to try something new was treated as a badge of honour — not the negative envy of people who just couldn't understand the wisdom of risking it all. It is my belief that the come-from-behind win for Canadian manufacturing will indeed start here on the Prairies. The innovation and technologies we invented for the commodities sectors were no fluke. We see a challenge and we put our backs and brains into finding solutions. Luckily, for folks like me, technology is taking care of much of what used to be the ‘back’ part of the work. We simply need to jump onboard fast so we can lead the world in this revolution. While the dynamics are dramatically different from when my parents immigrated here, the recognition and support for those individuals and companies who are trying to make a difference is still the foundation for our unique business culture, as opposed to those other regions who believe a plan and a dreamed-up strategy take precedence over a strong vision, and the passion and perseverance to make it happen! Mogens Smed is the co-founder and CEO of DIRTT Environmental Solutions, a Calgary-based manufacturer of customized construction interiors. ‘DIRTT’ is an acronym for ‘doing it right this time’ — a play on improving from past business shortcomings. Congratulations to Amy Barber from Progressive Interiors for winning the ICEscapes contest!